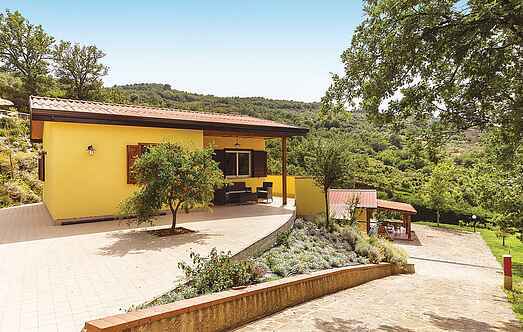 Find a vacation home to rent in Laureana Cilento from our list of vacation rental properties. Campaya has over 10 vacation homes available in Laureana Cilento, which give you the possibility to locate a unique accommodation in Laureana Cilento which completes your check-list in search for the perfect self catering vacation apartments in Laureana Cilento or vacation villas in Laureana Cilento. Lovely small cottage in panoramic position in Laureana Cilento, a small town deep in the typical landscape of this region, with green countryside, picturesque villages and lovely sea views. Holiday apartment in a double house in Laureana Cilento (Salerno), with an open terrace and common swimming pool with stunning views over the surrounding landscape. In the Cilento hills in Laureana Cilento, in a panoramic position overlooking the sea, you will find this bright and welcoming holiday apartment. 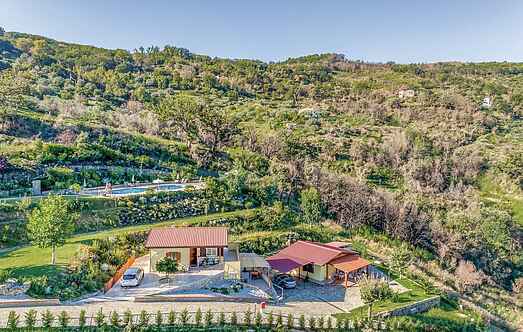 In the heart of Cilento, between Paestum and Velia and just a few meters from the medieval village of Laureana Cilento, lies this nice holiday accommodation. This nice apartment inside a residence is immersed in the nature of the National Park of Cilento; it is composed of a bed room, kitchenette with double sofa bed, bathroom and patio (10m2). These apartments are part of a small complex of 4 accommodation and shared swimming pool located in Laureana Cilento, about 10 km from the famous villages of Agropoli and Castellabate.